Most people are probably currently trying to behave themselves and stick to their New Year’s resolutions, but I am not one of them. 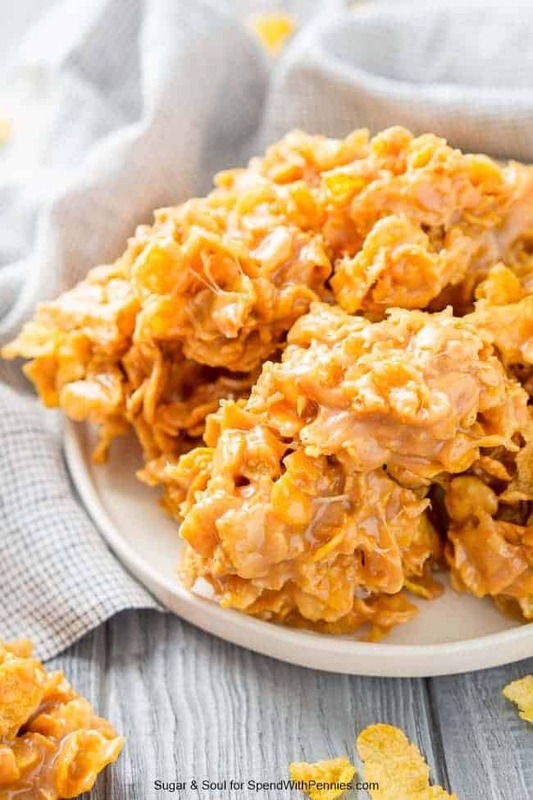 So for those of you who are, I apologize in advance for tempting you with these chewy and delicious Peanut Butter Cornflakes No Bake Cookies. 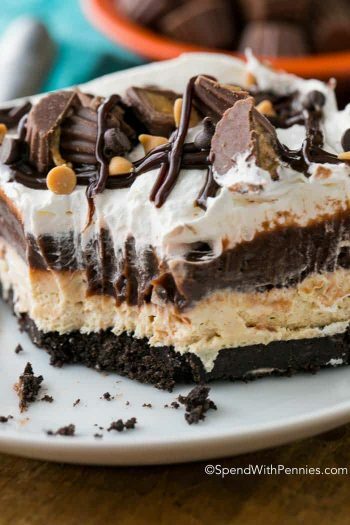 Seriously, I know, it seems completely unfair of me to dangle such a recipe in front of you while you’re trying to be good, but these are just too good not to share! 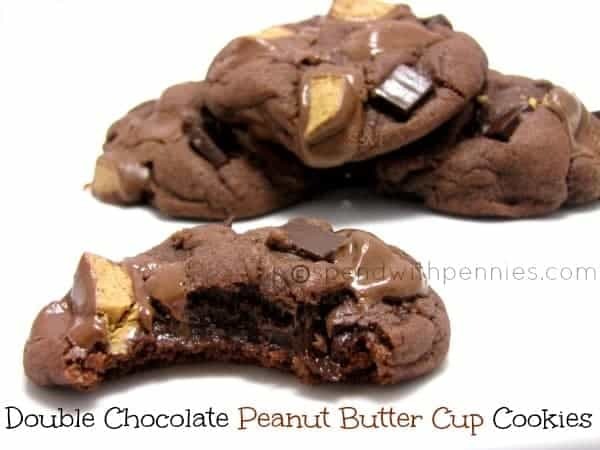 Like addictively good! 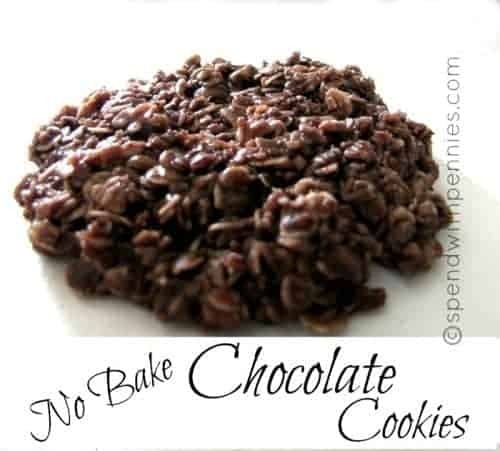 I’m a huge fan of no bake cookies, my mom made them all the time when we were growing up and I continue to make them in tons of different flavors today, like my Irish Cream No Bake Cookies or my Peanut Butter No Bake Cookies. 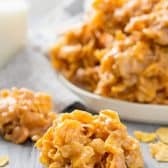 Traditionally, I make my no bake cookies with an oatmeal base, but for this recipe I decided to try something a little different, Corn Flakes! 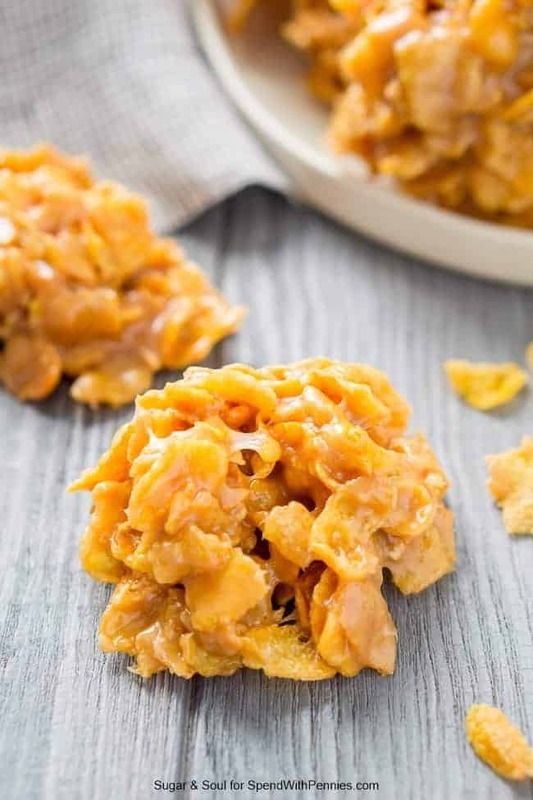 Not overly sweet, this boring breakfast cereal pairs with the creamy peanut butter to create a wonderfully sweet and salty cookie! 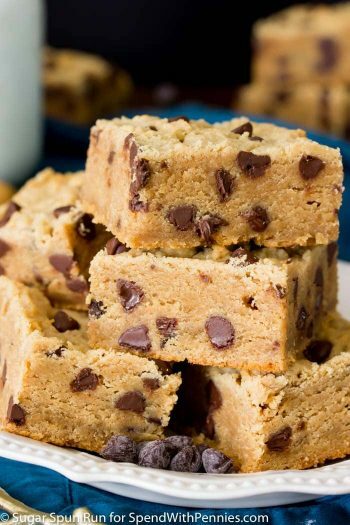 They’re also SUPER chewy and my husband loves them even more than the classics. 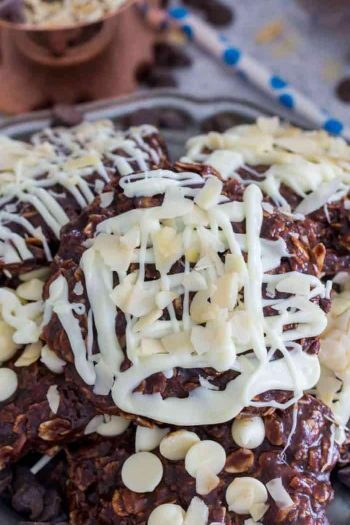 In fact, I packaged most of the batch up for him to take into work and they never made it because he keeps stealing cookies out of the container and there’s no longer enough left to share! 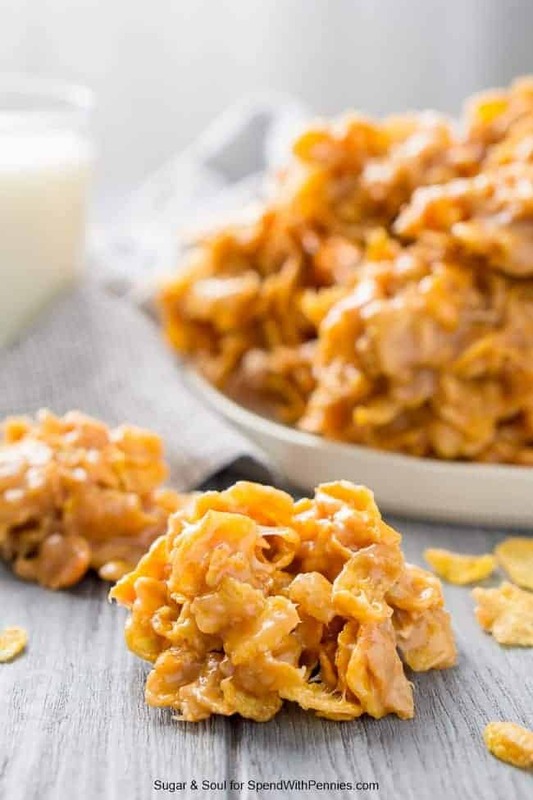 This recipe is made with just 5 ingredients: peanut butter, corn flakes, sugar, corn syrup, and vanilla. 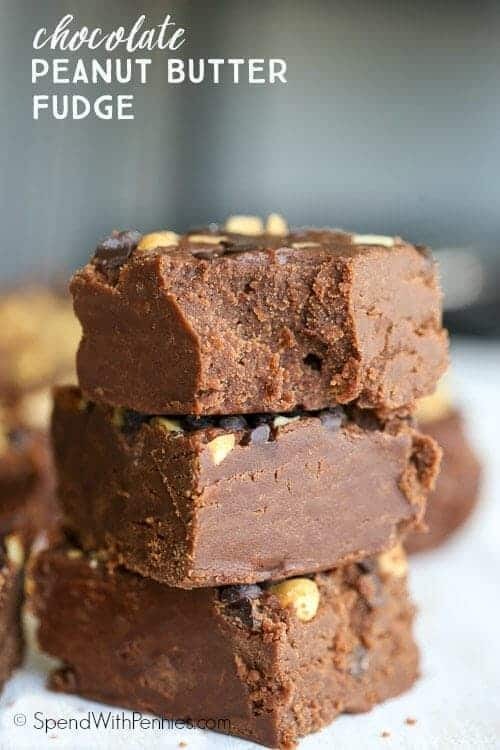 They’re made right on the stove top and are ready in minutes, and I promise the whole family won’t be able to get enough of them! 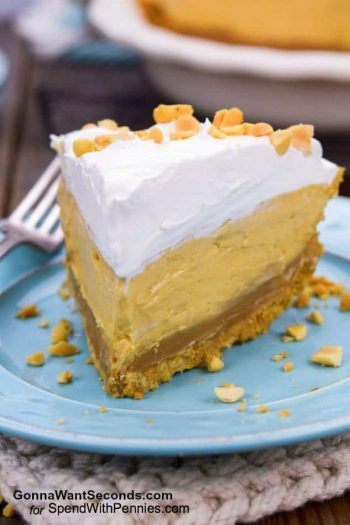 In a large saucepan, combine the sugar, corn syrup, and peanut butter. 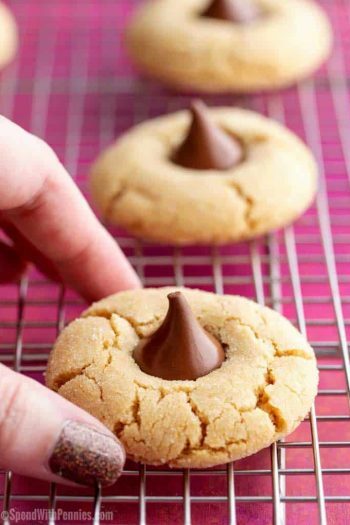 Cook over medium high heat until center starts to boil, make sure to stir constantly so the sugar doesn't burn. 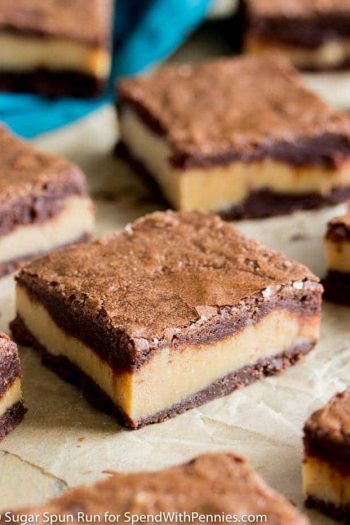 Let cool on wax paper for 20 to 30 minutes before enjoying.